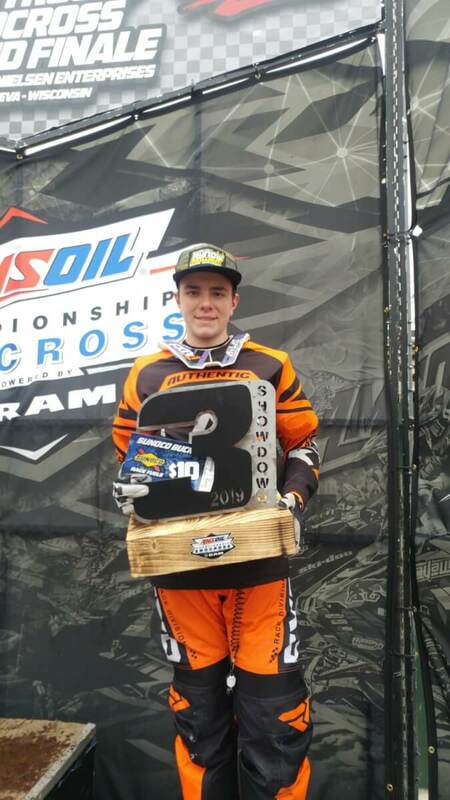 The Mailloux Racing team concluded its season in the ISOC Amsoil Snocross Championship, March 15-17, with the eighth and final round during the Ram Trucks Snocross Grande Finale which was taking place at the Grand Geneva Resort & Spa in Lake Geneva, Wisconsin. Held on the ski slopes of Grand Geneva’s Mountain Top, the track was as usual one of the biggest of the season, with huge uphill and downhill sections. 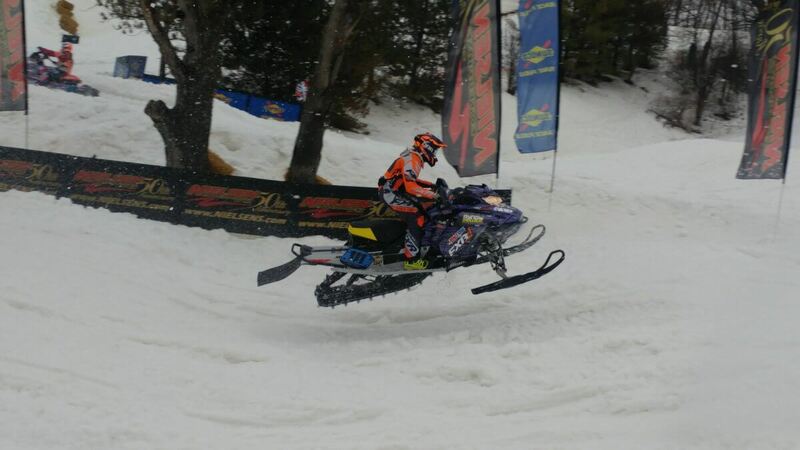 Thanks to our participation in the CSRA Canadian Snowcross Championship, our Ski-Doo rider #111, Nathan Mailloux, can take part in the traditional ‘Showdown’ races in Lake Geneva on Friday. Nathan seems very comfortable on the track, having good starts and finishing top 3 all day. It was a busy day for Nathan, while racing in four classes in total. 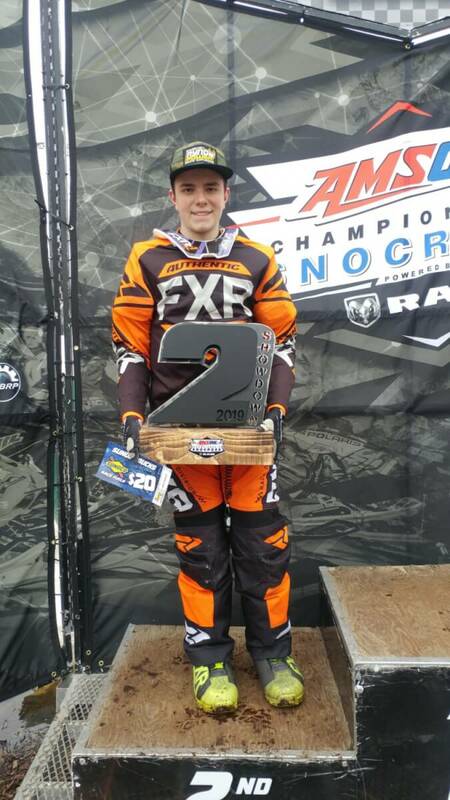 Nathan starts with his qualification race in Junior 16-17, he gets the holeshot, and stay in 1st place to the checkered flag. Then comes the qualification race in the Junior 14-15 class, Nathan does not know a good start, being last, but he makes a great come back and he finishes in 2nd place. In Sport Lite, great start by Nathan, who leads the way, and he cross the finish line in 2nd place. First qualifying round also in the Junior 16-17 ISOC class, Nathan is having a good race, and he placed 2nd. It’s now time for the Showdown finals. First final in the Junior 16-17 class, Nathan qualified first, and he gets on the 3rd step of the podium. Qualified in fourth place for the Sport Lite final, Nathan gets the holeshot again, and he finishes the race with the 2nd place on the box. For the Junior 14-15 final, Nathan has the third pick at the start, and he placed in 3rd place when he comes off his Ski-Doo. His boot got stuck in the footrest, and his ankle then takes all the hit. The condition of his ankle does not allow him to complete his races, and this is unfortunately the end of Nathan’s weekend in Lake Geneva. The Mailloux Racing team will be back in action in the CSRA Canadian Snowcross Championship this weekend, March 23-24, with the sixth round which will take place on the ski slopes of Chicopee Ski Resort in Kitchener, Ontario.